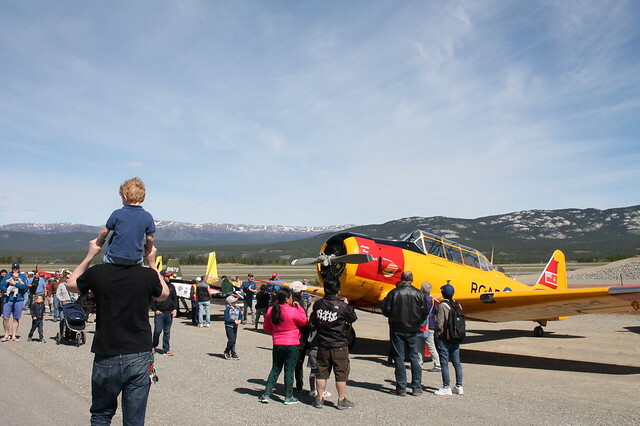 The Canadian Arctic Aviation Tour was in town this weekend. 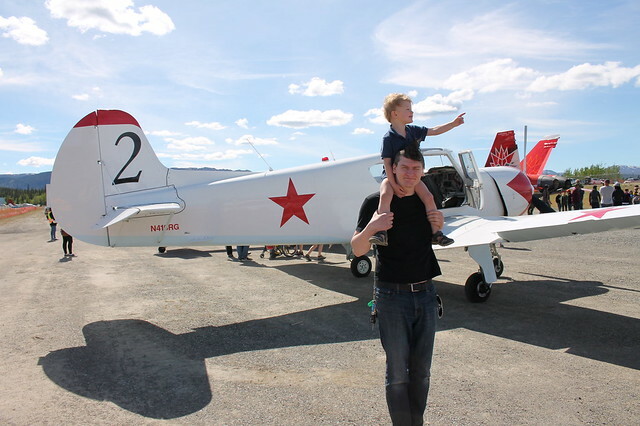 Sunday was a beautiful day; it was perfect for sipping lemonade and watching the trick planes from our front porch. 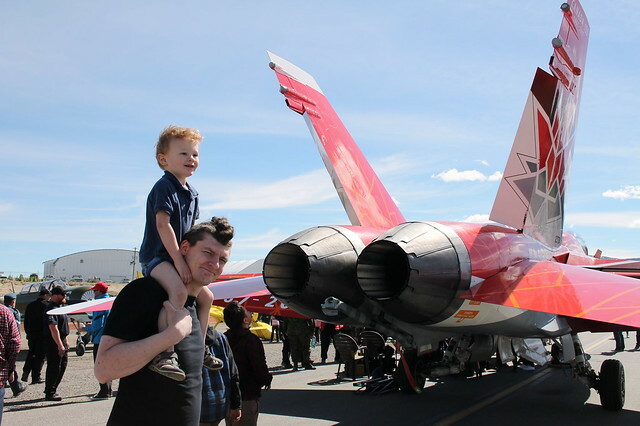 We took Axel up the airport to see the planes up close. 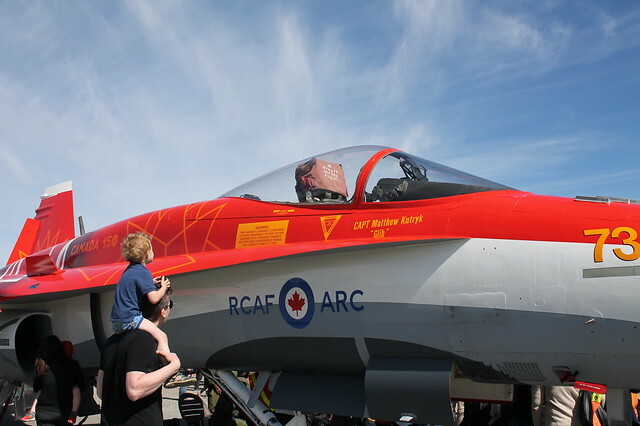 He was so excited he was skipping and jumping the whole way from the parking spot to the planes. Not a bad way to spend the day with a 2 year-old!